A little over nine years ago a wonderful dog adopted me. I believe that he adopted me because he has given me so much more than I could have ever imagined. He has consistently been a friend to me, gives me a warm greeting when I get home, and is a protector. 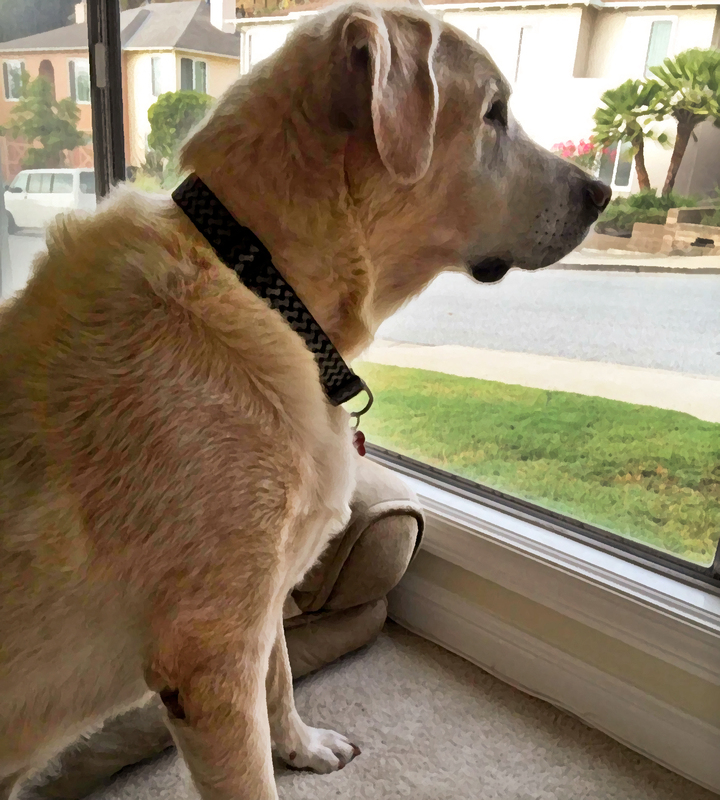 My yellow Labrador, Buddy, has helped our neighborhood feel safe, for me and our neighbors. I have noticed that his friendliness has helped us meet our neighbors, who are now our friends. It is almost like he is running for mayor. He wants to get to know everyone. I think this helps him understand who should be in our neighborhood and who shouldn’t be. He knows everyone, including the regular UPS driver and mailman (he adores both of them). If we have someone different in our area, he will give a warning bark, as a caution. He looks to me to let him know if we should welcome the new person or perhaps they are a threat. I trust Buddy’s instincts, and believe he keeps us safe. My four-legged bodyguard likes to stare out the front window, keeping a watchful eye on our neighborhood. Me, and our neighbors, are so grateful.